Expert air handler repair, installation and replacement services in The Woodlands are just a phone call away. Contact us at 281-704-3696 for whole-house HVAC solutions at affordable prices. Save on our services with valuable online coupons when you click here. Air distribution is an important topic that most homeowners take for granted until there is an issue. Even if your AC is producing perfectly chilled air, if that air isn’t being circulated throughout the house properly, you won’t notice any of the benefits. The air handler is a part of your AC system that is crucial for distributing the air in your home and keeping everyone comfortable. Find out what your neighbors in The Woodlands, TX are saying about our services when you click here. 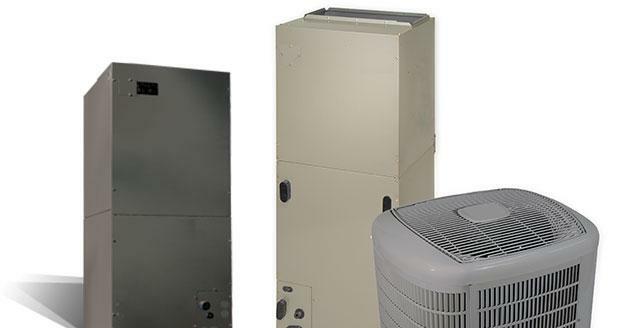 Your air handler looks like a simple metal box, but it houses some very important components of your AC system. Inside the air handler are fans, motors, sound attenuators, air filters and dampers. The air handler connects to the ductwork in your HVAC system and helps distribute warm or cool air through the house. Efficient airflow means greater comfort and lower energy costs. If you require air handler repair, it may be because the filter is clogged and dirty, sensors are malfunctioning, the motor has blown or fans are damaged. Relays, capacitors, evaporator coils and the condenser drain line can all develop issues that need professional attention. The key is to take action as soon as you notice something isn’t right, so you won’t have to go without your air conditioning for any length of time. When any part of your air handler is damaged or working poorly, the entire system is in jeopardy. Professional repairs and maintenance visits will help keep your air handler running at peak efficiency throughout the cooling season. In Texas, that season is much longer than in most other states, so it’s important to do whatever you have to do in order to keep your AC providing the comfort you and your family need. Professional service from Affordable American Air Conditioning & Heating means that repairs and maintenance will be performed by technicians with experience and expertise, building codes will be obeyed and your warranties will remain intact. Many homeowners love the DIY approach, but if you are serious about results, choosing a professional technician is the only way to go. Don’t let a minor air handler issue threaten your entire AC system. Call Affordable American Air Conditioning & Heating at 281-704-3696 for professional, reliable air handler services in The Woodlands, TX.